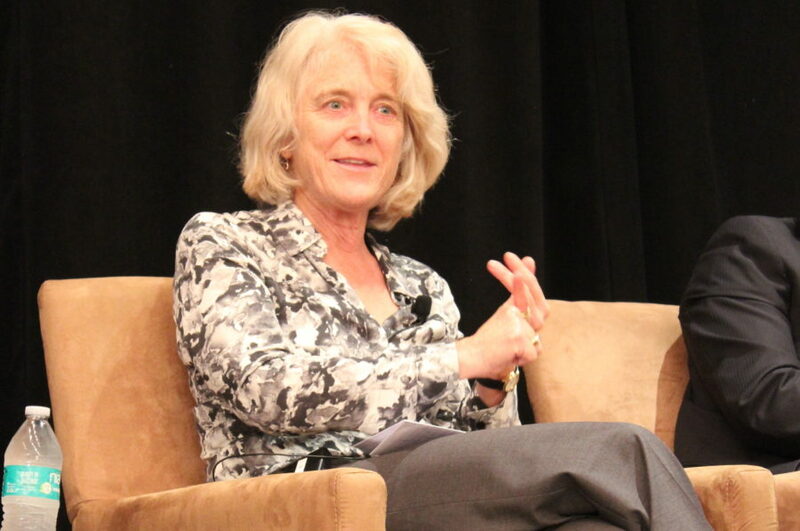 Farmers, trade groups, state agencies, academics and Sustainable Conservation staff filled the sold-out, inaugural California Dairy Sustainability Summit in Sacramento last week to showcase how the Golden State’s dairy industry is moving the needle on sustainability. Critical issues like conserving water, protecting air quality and water, boosting renewable energy and reducing emissions. 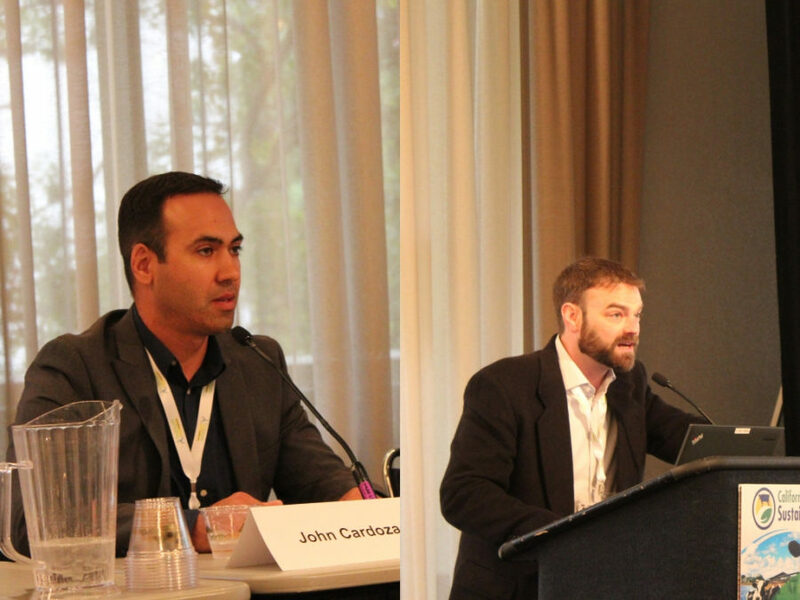 The summit fostered serious discussion about how vital it is for the industry to increase its sustainability going forward to protect our climate, natural resources and people. The way forward? 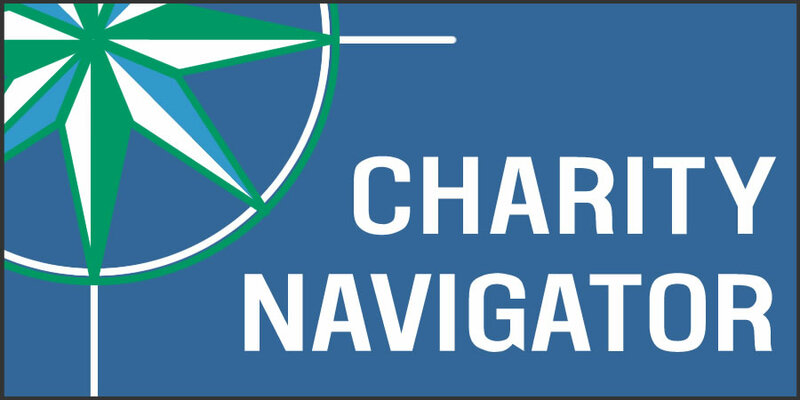 Key partnerships with a wide variety of stakeholders, like Sustainable Conservation. U.S. dairy farmers, including California operators, produce more milk using fewer resources, and with fewer environmental impacts, than any other region in the world. The carbon footprint of a glass of milk produced in the U.S. is 66% smaller today than it was 70 years ago. But, for the industry to continue leading in environmental performance while producing the myriad products we all love, it’s going to take everyone rolling up their sleeves and doing their part. As we’ve done for nearly 20 years, Sustainable Conservation will be there every step of the way. Executive Director Ashley Boren addresses the sold-out summit about the achievements California dairy farmers have made to the state’s land, air and water in partnership with Sustainable Conservation. 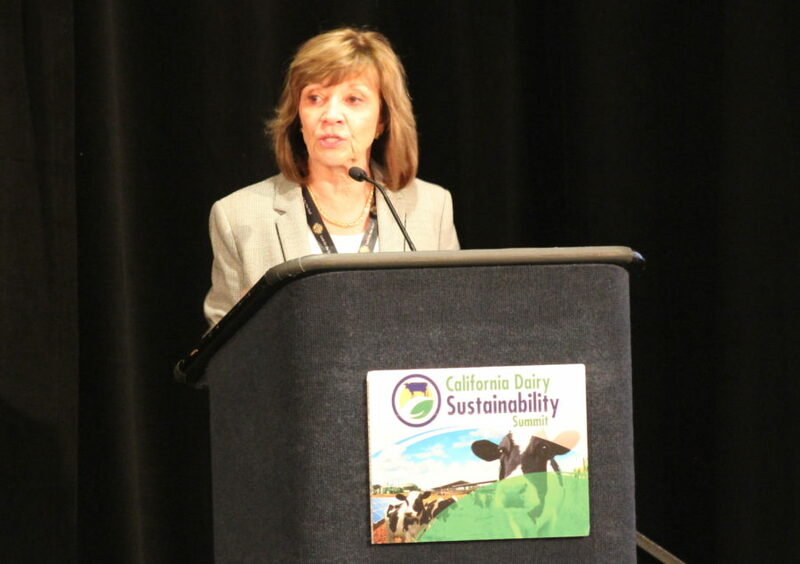 California Secretary of Agriculture Karen Ross opens the summit, including a shout-out to Sustainable Conservation and Ashley Boren for the organization’s pioneering conservation efforts with the dairy industry that have spanned nearly two decades. Sustainable Conservation Senior Project Manager John Cardoza (left) and Director of Business Partnerships Ryan Flaherty educate dairy farmers about strategies for becoming more water wise in ways that protect clean water, as well as how to transform dairy manure from a waste to an asset. 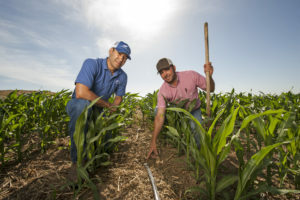 Managing Dairy Manure for Clean Water – Partnering with dairy farmers in California San Joaquin Valley to pilot an innovative water-saving irrigation system that helps transform dairy waste into valuable fertilizer. With the system, dairy producers can make best use of their limited water supplies with manure fertilizer their cows already produce to grow the crops they need while protecting groundwater quality and supplies. 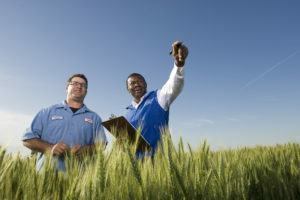 Encouraging returns include growing 15% more crop with 50% less water. Clean Air, Soil through Low-Impact Farming – Helped pioneer the expansion of conservation tillage, a practice that leaves crop stubble on land to reduce dust pollution and soil disturbance, on San Joaquin Valley dairy farms. Conservation tillage cuts dust pollution by up to 70% and greenhouse gas emissions by up to 50%. 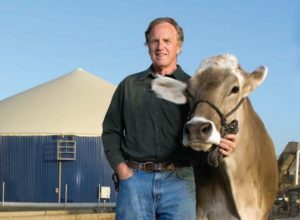 Tackling Climate Change with Cows – Launched partnership nearly two decades ago with California’s dairy industry to promote methane digesters, which capture harmful greenhouse gas from cow manure and convert it into clean, renewable energy. We also helped develop the nation’s first zero-emission, cow-powered truck that runs on biogas produced from manure. Using Worms to Treat Manure – Demonstrated the promise of a worm-based wastewater treatment system to help safeguard local drinking water from the potential polluting effects of cow manure. The system removes over 80% of nitrogen from the water it treats and produces worm castings – a nutrient-rich by-product to export as fertilizer. 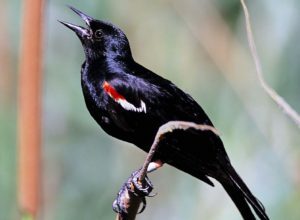 Keeping the Tricolored off the Endangered Species List – As part of a diverse alliance that included dairy industry leaders we authored a groundbreaking plan to guide the recovery of the imperiled tricolored blackbird in California – home to 95% of tricolors in the world whose populations have plummeted over the last two decades. 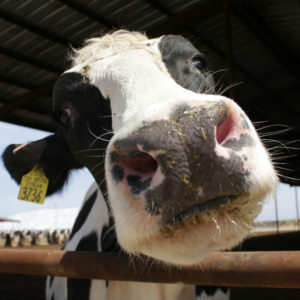 Due to the destruction of native wetlands over the last century, approximately half of all California tricolors now make their homes in silage fields grown to feed the state’s nearly two million dairy cows.